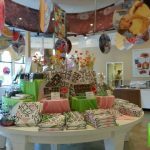 Kilwins Petoskey Chocolate Factory Tours Review – Pics, and info. 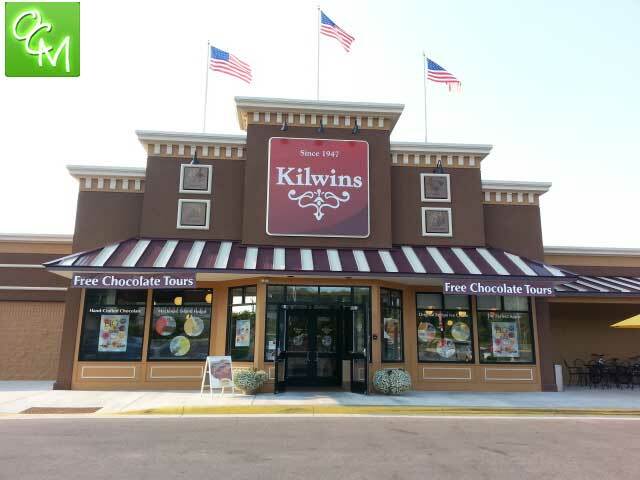 Kilwin’s offer FREE tours of the chocolate factory daily at their US-31 location. 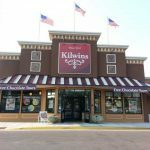 The Kilwins Chocolate store in Petoskey, Michigan is the factory site for Kilwins Chocolates. 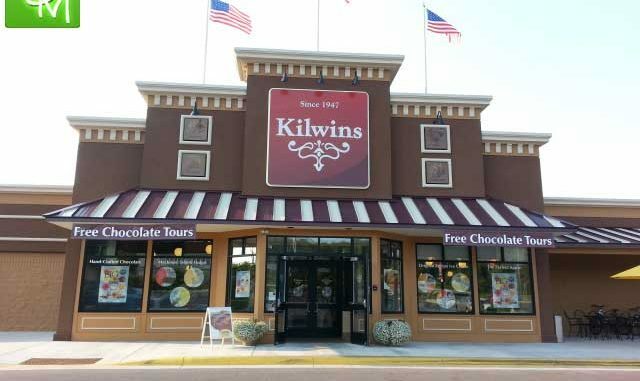 Kilwins offers free tours of the chocolate factory in addition to selling its chocolates, ice cream, peanut brittles, popcorns, and more. The Petoskey location mass produces many items and then ships them out to the other 89 Kilwins locations across the country. 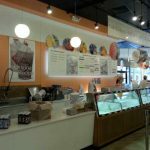 The Kilwins ice cream flavors are quite unique and they keep a current tally of the ten most popular flavors. Salted caramel currently holds the number one slot, which is a big achievement considering it’s one of the newest flavors. It started off as a temporary flavor until it proved to be such a bit hit and was added on permanently. 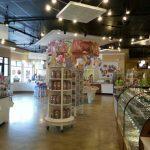 At Kilwins Chocolate Kitchen, you’ll find all kinds of chocolate treats such as truffles, tuttles, chocolated covered caramels, clusters, assortments, peanut butter cups, chocolate covered rice crispie treats, chocolate covered oreos, and so much more. They use white chocolate, milk chocolate and dark chocolate when making the treats. 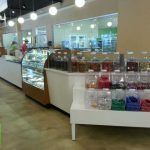 Kilwins offers up free tours daily at the site. We took the tour while on a trip to Petoskey recently. Honestly, it was somewhat of a disappointment. 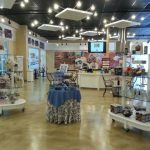 The tour info as advertised tells you that you will see how their chocolates are made with waterfalls of chocolate pouring down, and you will get samples (plural) of chocolates, fudge and their original recipe ice cream. In reality, we viewed a bunch of machines (empty and clean ones) through a glass window, and were told what each one does. And, we got a choice of one sample – either a chocolate covered caramel or a dark cashew turtle. But, overall, the tour guide was nice, we learned a little, and we received a free sample at the end. Plus, we got a nice laugh when we each had to put on the hair nets and shoe covers. 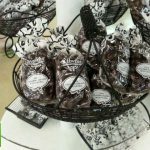 Kilwins Petoskey Chocolate Factory Tours take place Monday Through Friday from 10a-4:30p with tours starting every half-hour. 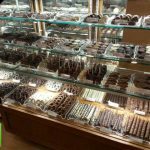 Kilwins Chocolate Kitchen is located right off US-31 near downtown Petoskey’s gaslight district.